The 2011 American Eagle Silver Uncirculated Coin will mark a return to the series which has not been produced by the US Mint since 2008. The coins were officially released to the public on September 15, 2011. 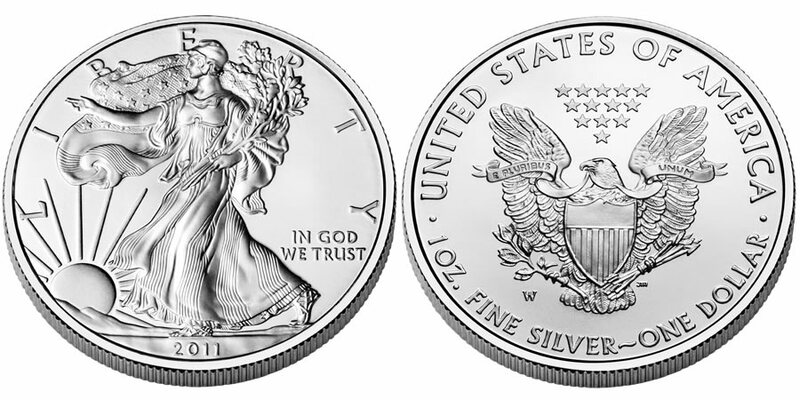 This series actually debuted in 2006 based on the bullion and proof Silver Eagles which have been struck since 1986. However, precious metal market pressures forced the Mint to cancel the production of the Uncirculated Eagles in 2009 as it struggled to meet demand for the related bullion Eagles, which it was required by law at the time to strike to meet demand. Despite bullion Eagles still selling in record numbers, the US Mint was able to ramp up blank planchet availability over the last few years allowing them to also strike these uncirculated Eagles. In addition, the law requiring the Mint to strike bullion Eagles to meet demand has since been modified allowing the Secretary of the Treasury to also strike numismatic Eagles even if bullion demand is not fully met. 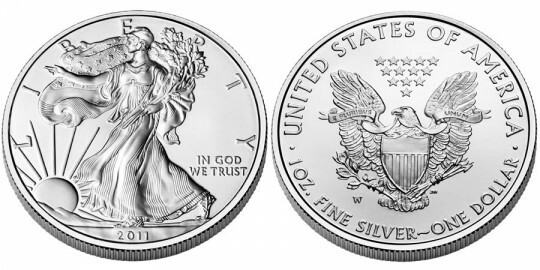 The obverse of all Silver Eagles contain the "Walking Liberty" design by Adolph A. Weinman. This design was first showcased on the 1916-1947 Half Dollar and is considered by many to be one of the most beautiful ever struck on a coin of the United States. Included as well on the obverse will be the inscriptions of "Liberty," "In God We Trust" and the year. John Mercanti designed the reverse of Silver Eagles to contain a heraldic eagle with shield to symbolize strength and endurance. In the beak of the eagle are the words "E Pluribus Unum." Also shown on the reverse are the inscriptions of "United States of America," "1 Oz. Fine Silver" and "One Dollar."